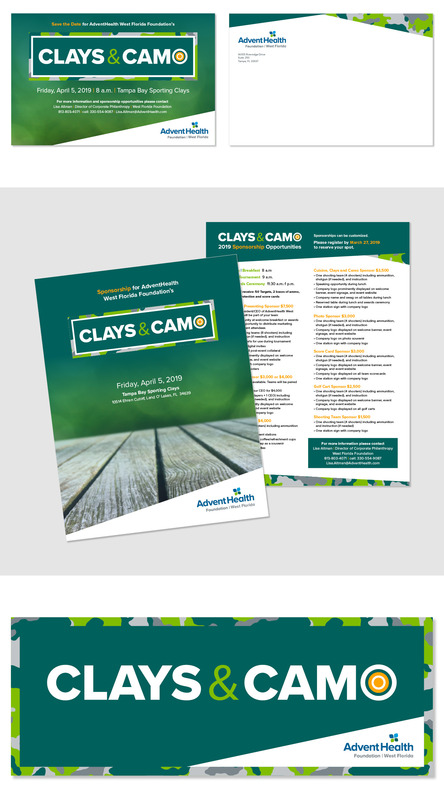 I partnered with AdventHealth West Florida Foundation to create a new look for their annual clay shooting event – Clays & Camo. We worked together to create a clean, modern look that complemented their new branding. The pieces that I created were the Clays & Camo graphic, save the date, sponsorship pieces and event signage. It has been a pleasure to work with on the AdventHealth West Florida Foundation Clays & Camo Branding. I have been helping with this event since 2015.